3 Bedroom Apartment To Rent in Southampton for £425 per Calendar Month. Double room Â£525.00 including bills. Single room Â£425.00 including bills. A lovely three bedroom house with garden situated in a quiet cul de sac location within 5-10 minutes walk of Southampton University Campus, local shops and bus routes into the town centre. 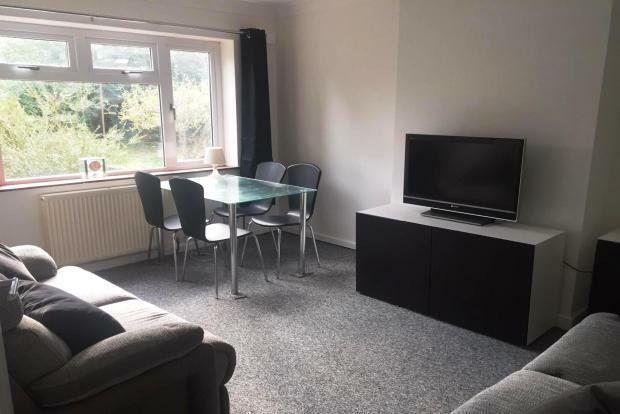 The property has been completely refurbished including a brand new kitchen, bathroom and cloakroom plus new carpets and redecoration throughout. Fire doors, mains smoke alarms and heat detector also fitted. A comfortable shared living area. Modern kitchen professionally fitted including microwave, integrated cooker, fridge/freezer, dishwasher and washing machine. Outside garden space to relax and enjoy the summer sun. Off street parking available upon request along with secure storage for bikes. Live in Landlord - a university student himself. THIS ACCOMODATION IS FOR STUDENTS - contracts are for 12 months starting immediately and renewable yearly thereafter. All tenants and their guarantors will have to complete an application and go through reference checks. The fee for this is Â£99.00 plus vat.